If you are looking for a tour in Sri Lanka with a low budget but would like to visit almost all the best places this will be the ideal tour for you. Accommodation will be selected to suit your budget. Accommodation will be a choice of 2* and 3* hotels. On arrival you will be assisted at the airport by our representative. There after you will be transferred to one of our chosen hotels in Negombo. Depending on your time of arrival your chauffeur will organize a city tour of the town of Negombo. Spend the rest of the day relaxing by the beach or do your own thing. 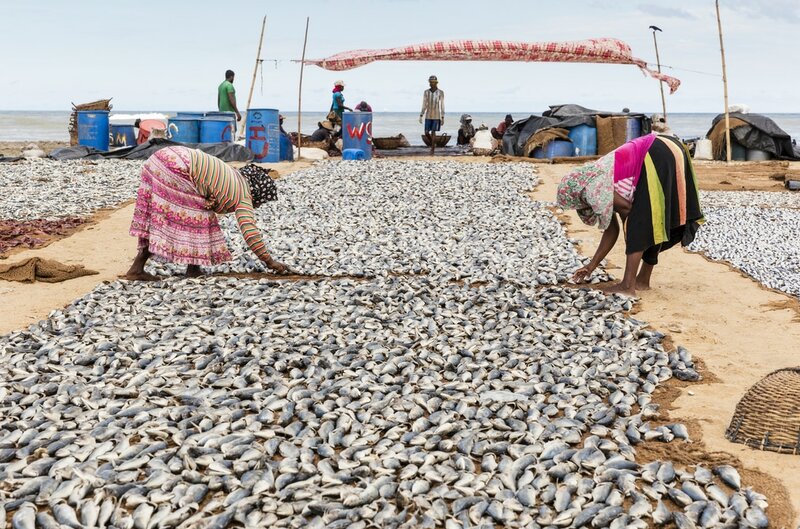 Negombo is predominantly a fishing town. You will stay the night in Negombo. In the morning you are free to take an optional boat trip in the Negombo Cannal. Thereafter, commence your journey to Sigiriya. In the evening climb the rock fortress of Sigiriya. Sigiriya or Sinhagiri as it is known is an ancient rock fortress located in the district of Matale near the town of Dambulla. 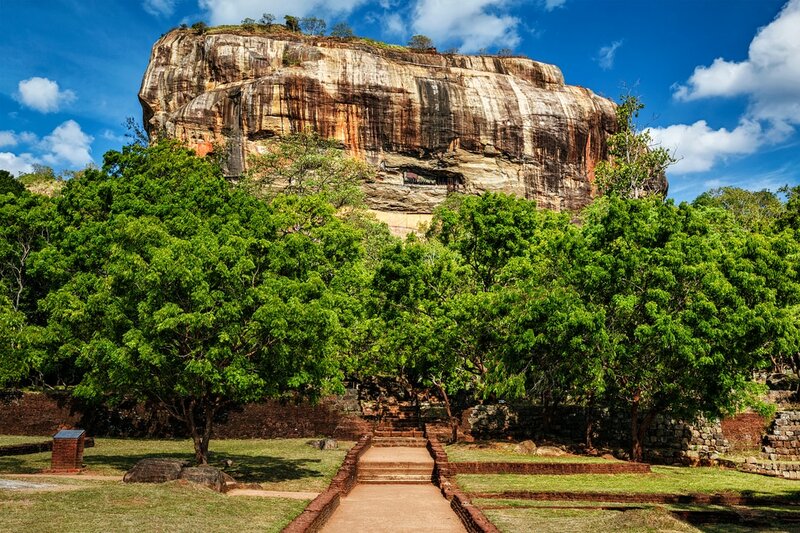 Sigiriya is of great historical significance and is a UNESCO heritage listed site. Stay overnight at our chosen hotel in Sigiriya. After an early breakfast travel to Anuradhapura & visit the ruins of the first capital founded in the 05th century BC. 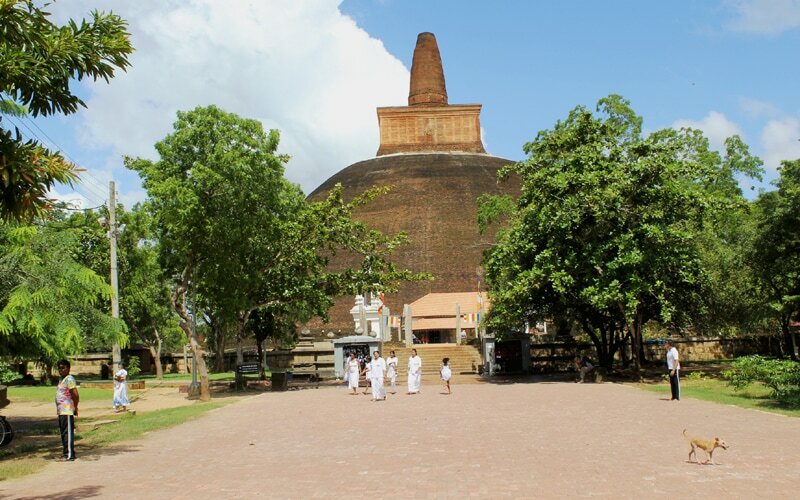 Anuradhapura has the largest number of ancient monuments reminiscent of a great civilization. Visit Polonnaruwa by bicycle. Polonnaruwa is the second ancient capital city, which lasted three centuries. Polonnaruwa is one of the most interesting places in Sri Lanka with many well-preserved ruins of palaces and monasteries. Late in the afternoon visit Medirigiriya. In the evening relax and stay overnight at the your hotel. After an early breakfast leave for Kandy. 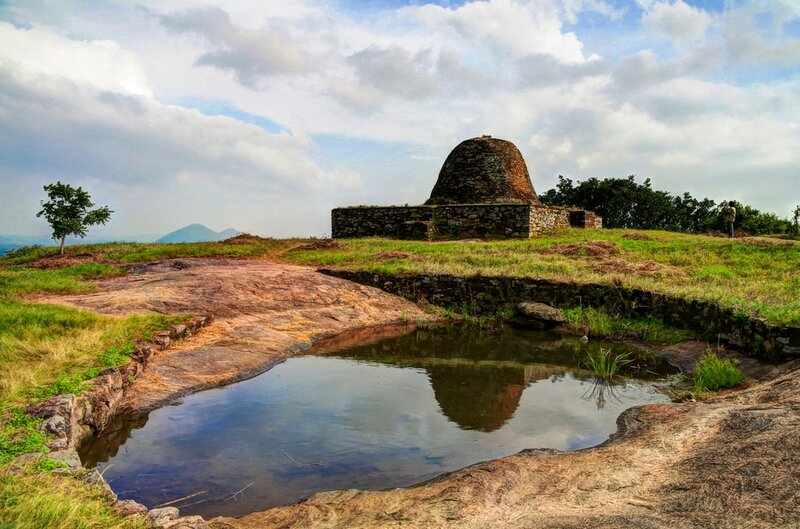 On the way visit the ancient cave temple of Dambulla. This cave temple dates back to the 2nd century BC. It was known even before the making of the complex, as one of the largest monasteries in Sri Lanka and the caves became a major religious center during that period. Dambulla is a UNESCO declared World Heritage Site. ​You can visit Nalanda Gedige the Abu Simbel of Sri Lanka. Nalanda Gedige is one of a number of remarkable archaeological sites in Sri Lanka. On your way to Kandy you can visit a spice garden & a batik factory in Matale. You will reach Kandy in the evening. While in Kandy you will visit the sacred Temple which houses the tooth relic of the Buddha. After breakfast leave for the Pinnawala elephant Orphanage. Pinnawala is one of Sri Lanka’s popular attractions. The orphanage was established to feed, nurse & house young elephants abandoned in the wild. In the evening, do a city tour of Kandy and visit a Gem Museum. Late in the evening view the Kandyan cultural performance and return to your hotel for your overnight stay. After breakfast visit the royal botanical gardens of Peradeniya, which is well, known for its large variety of plants. The garden is best known for its collection of orchids and a large variety of plant species. Leave for Nuwara Eliya in the evening. 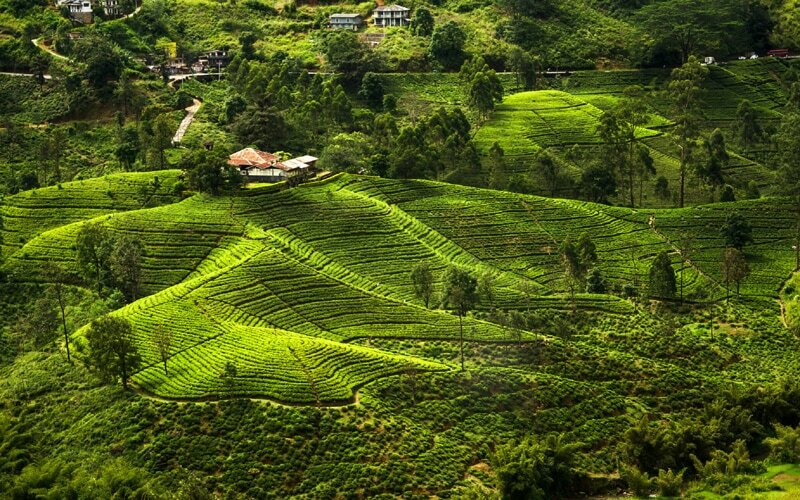 Nuwara Eliya is situated in the central highlands of Sri Lanka. Visit a tea plantation and taste some the best teas in the world. Gregory Lake is one of attractions in the locality built by Governor William Gregory between 1872- 1877. Check in to your hotel and stay overnight. After Breakfast leave by vehicle to Ella train station for a train ride to Badulla or vice versa one way as per the availability of the train. 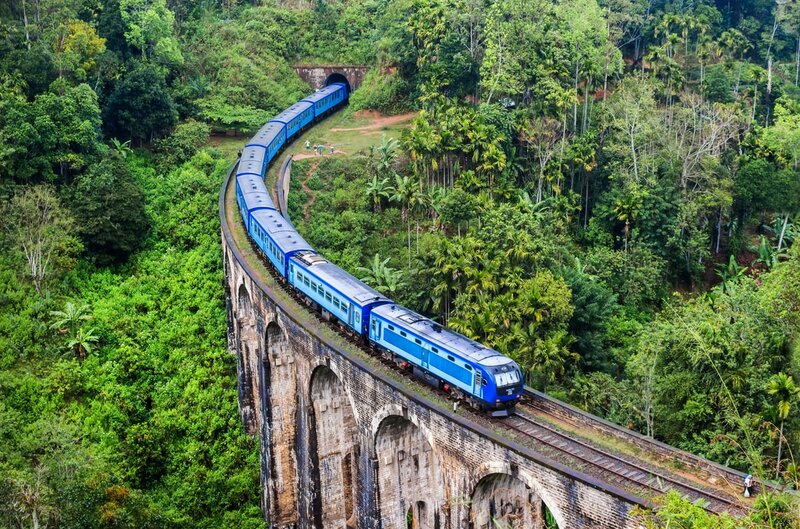 The journey is spectacular and complemented by beautiful views of misty mountains, waterfalls, tea plantations & lush vegetation. In the evening visit the Dunhinda waterfall in Badulla. Return to Ella for the overnight stay. Some of the places you could see in Ella are the Ella Gap, Rawana Ella Falls, Little Adams Peak and Bambaragala Peak offering stunning scenery. Get ready and leave for Tissamaharama and en route visit Buduruwagala the seven colossal figures carved out of a rock face at Buduruwagala, which is situated five kilometers south of Wellawaya. The rock itself resembles a kneeling elephant with its head bowed and the end of its folded trunk in its mouth. In the evening take a wildlife safari in the Yala Park (by jeep). Elephants are undoubtedly the best-known attraction at Yala, seen in small & large herds. Herds of spotted deer are seen all over the park too. Monkeys-the pinkish rhesus and the Grey-faced Langur monkey live and play on the treetops and the ground below. Wild buffalo & wild boar would startle you with their presence & the sight of a leopard sunning itself or drinking water at a water hole could be a memorable experience. 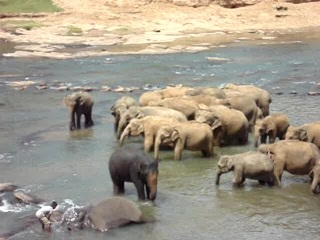 (If Yala is closed during September-October period, the Bundala reserve can be visited). Return to Tissamaharama for your overnight stay. 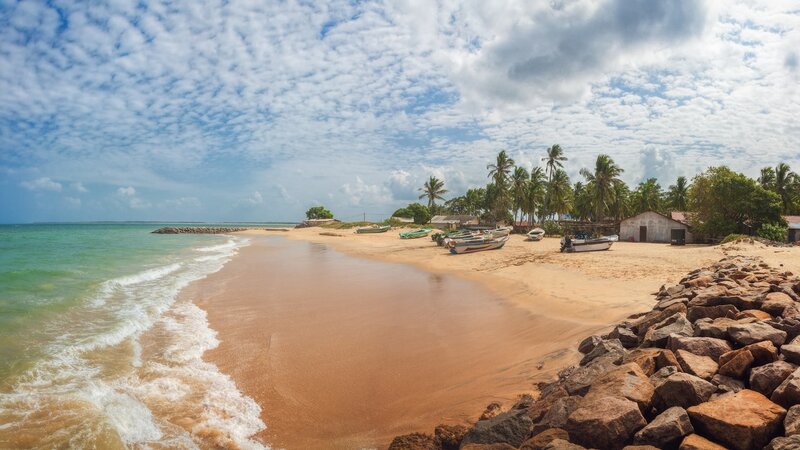 Enjoy the morning excursion to Kataragama which is a fast developing township in the deep south of Sri Lanka but in the olden days it was only a small village. Proceed to your beach hotel and in the evening relax at your own pace. Relish a delicious dinner & stay overnight at the hotel. No activities for today. You can relax and be at leisure at the beach. After Breakfast leave for Colombo en-route stop at Weligama to watch the Fisherman on stilts. 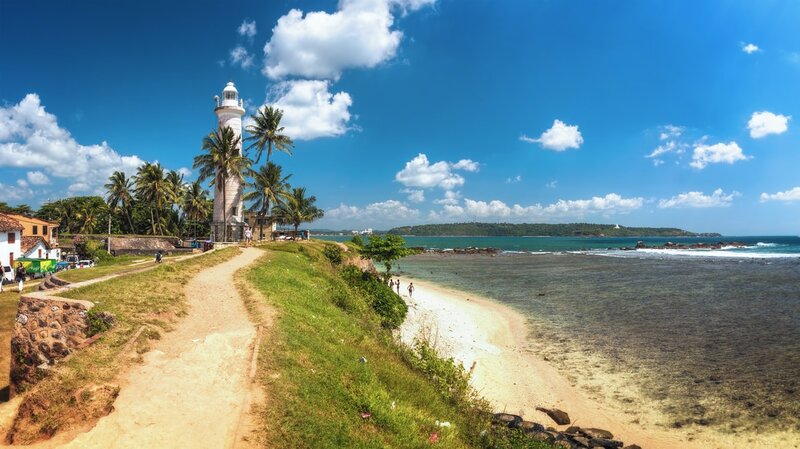 Visit the Galle Dutch Fort, museum & Church. Built in 1663, the fort still retains the atmosphere and charm of Dutch days. Many Old Dutch buildings are still intact inside the fort. The best way to see the fort is to walk around until it is time to watch the sunset. The Dutch Museum, which is housed in a restored Dutch mansion of the time, contains paintings, prints, documents, furniture and ceramics from the Dutch colonial era. Dutch Reformed Church, built by a Dutch Army officer in 1754 is a must see building. 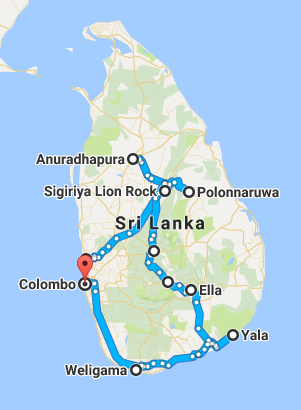 Continue to Colombo. Do a city tour. 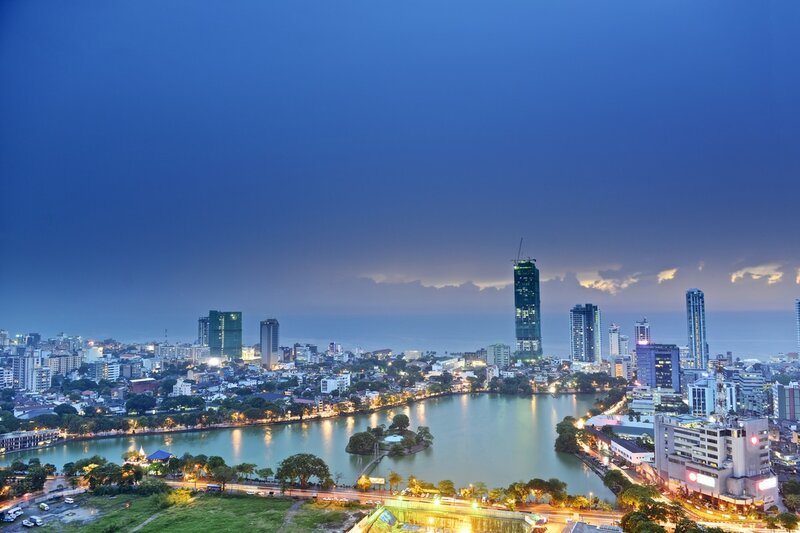 You will visit the Fort area, the commercial center, and Pettah known as the City center’s bustling bazaar. After breakfast you would be transferred to the airport in time for your departure flight. Normal checkout time 12:00 pm. If you are travelling alone please send us an email we shall advise you the details. Accommodation in Double/Twin or Triple bed rooms in the hotels mentioned or similar. Bed & Breakfast basis for Eleven Nights & Two nights at the beach south of Sri Lanka on Half Board Basis (Dinner & Breakfast included). Air-conditioned vehicle with English speaking chauffeur will be provided. (Private Tour). No vehicle will be provided on any free days if any as per program. Bicycle for Polonnaruwa visits & Train tickets for joy ride in Hill Country included. The chauffeur will look after his meals & accommodation. Basic Jeep to visit Yala reserve included (Entrance fees for the reserve to be paid directly by clients). All Entrance Fees applicable to be paid by clients directly as per program. Vehicle will not be provided on free days at the beach hotel but on the last two days for the transfers & visits vehicle will be provided after the main tour. Entrance fees as per program to be paid directly by clients. For Reservations during Super Peak Period – 21 December 2016 to 15 January 2017 period please contact us for further details as Peak supplements apply at hotels during this period & this will change according to the category of hotels and actual days of stay at each hotel. Single room supplement, the personal spending (tips, laundry, mini bar, telephone, fax etc.) Beverages, the rights to use cameras or video at sites where most places they are free when you pay the entrance fees except at Kandy Tooth Temple & Pinnawela Elephant orphanage there are extra charges for Video around USD 05 per person, medical expenses, insurance, international flights. If you have any difficulty we could make arrangements for same too in 48hrs to obtain same if details are provided to us by mail. The passport has to be valid for six months from the day of arrival return air tickets & sufficient funds or reservations for the holiday should be with you. All travellers have to obtain a visit visa except for Singapore & Maldivian passport holders. You may cancel your booking at any time prior to commencement of the tour by notifying us in writing, which must be acknowledged by our company. If you cancel on or before 30 days before the first day of the tour, we will retain your small deposit to cover our costs. Thank you for choosing Leisure World Tours. Your services will be attended t0 by our trusted suppliers/ partners. We hope you will have an enjoyable holiday in our tropical Country. Please send us your reviews as we depend on your feedback to make further improvements to our services.